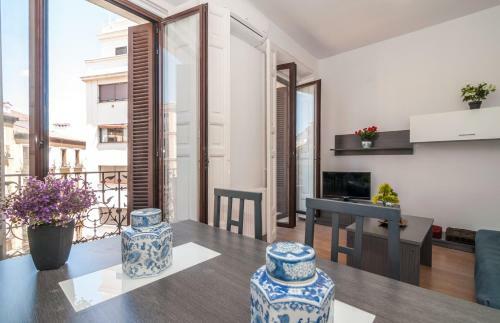 In central Madrid, just around the corner from Plaza Mayor Square, Apartment Center Madrid Mayor Sol provides accommodations with air conditioning, heating, and free Wi-Fi. The apartments feature balconies overlooking Calle Mayor Street. Each has a TV and a kitchen equipped with a microwave and an oven. 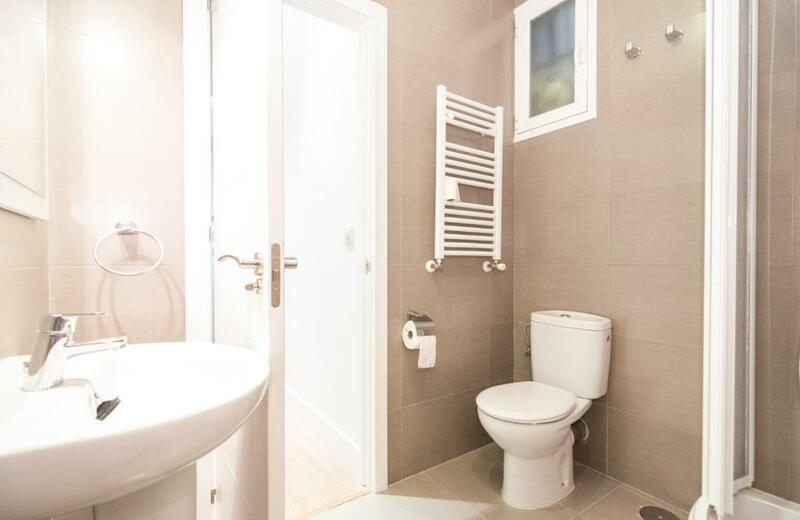 Each apartment also has a bathroom with a hairdryer. Puerta del Sol Metro Station is a quarter mile from the property, and the Royal Palace can be reached in 7 minutes by foot. Prado Museum is just under 1 miles away. 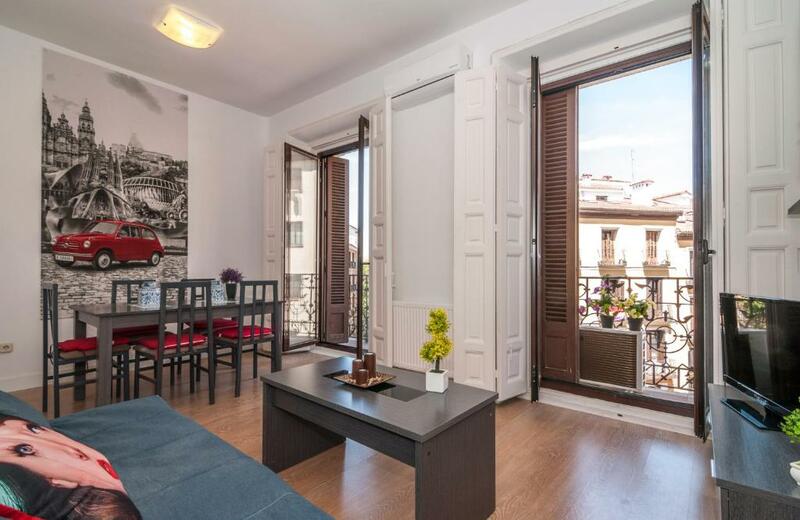 뀐 Located in the real heart of Madrid, this property has an excellent location score of 10.0! When would you like to stay at Apartment Center Madrid Mayor Sol? Air-conditioned and heated, this apartment with free Wi-Fi includes a balcony and a living area with a TV. 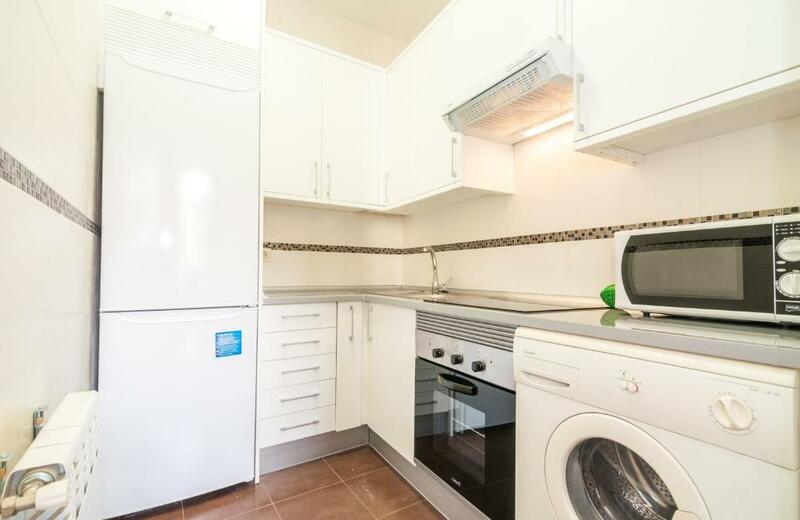 The kitchen comes with a microwave and an oven. There are 3 double bedrooms and a bathroom with a hairdryer. Air-conditioned and heated, this apartment with free Wi-Fi includes a balcony and a living area with a TV. The kitchen comes with a microwave and an oven. 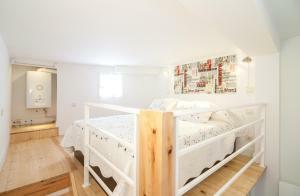 There are 2 double bedrooms and a bathroom with a hairdryer. 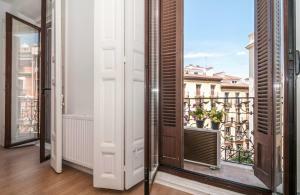 Beautiful apartment in the historical center of Madrid, on Calle Mayor The apartment is located in a historic building. Enjoy the style and comfort that offers this central apartment. Experience Madrid from the center and stylish. Located in the most significant street in the center of Madrid (Calle Mayor 37), this apartment is surrounded by interesting cultural, entertainment and places that can not be missed. This central location allows you to walk to points such as the Royal Palace, the Sabatini and Almudena Cathedral. A very few meters away (just behind) is the Plaza Mayor, possibly the main tourist reference of Madrid and the famous Mercado de San Miguel. It also houses the tourist information office in Madrid. From here you can also get into the effervescent Latina neighborhood, famous for its tapas bars and trendy restaurants. A pleasant walk less than five minutes will take you to the Puerta del Sol (Sol meter), the heart of Madrid and kilometer zero of Spain. If you're looking to buy, the tourist streets of Arenal, Preciados and Gran Vía offer all kinds of shops and services. The neighborhood also has a variety of restaurants, tapas bars and nightclubs. 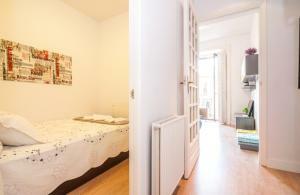 House Rules Apartment Center Madrid Mayor Sol takes special requests – add in the next step! Please inform Apartment Center Madrid Mayor Sol of your expected arrival time in advance. You can use the Special Requests box when booking, or contact the property directly using the contact details in your confirmation. Location could not be better. Between two metro stations Sol and Opera. Everything nearby! Kitchen equipped enough to prepare a little meal. Nothing not to like. The place was clean and tidy. The location was excellent. The price was reasonable and good value for money. Many restaurants around and most popular area to live in for nightlife and sightseeing. Could have used an extra roll of toilet paper, but this was minor and didn't cause any problems. Comfortable apartment in a great location. 3 bedrooms, one is a loft while the other two are actual rooms with doors. Excellent and clean kitchen and living facilities. Very close to major sites in the city. Hosts were very friendly and accommodating, great communication so we knew who to contact upon arrival.